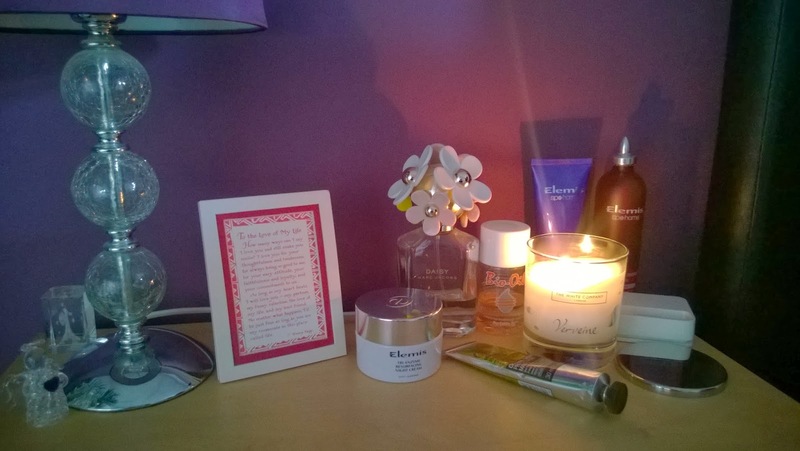 For you nosey peeps out there here's what is currently on my bedside table. It's there to remind me to put it on! My favourite fragrance right now. This one is delicious. It's heavenly to use and smells divine but again it's on the table to remind me as I do get a bit lazy with moisturising the old body. Who has time? I love candles everywhere and don't actually buy many that cost a bit. This one did, but smells amazing. And boy do I have dry hands right now. This one works. 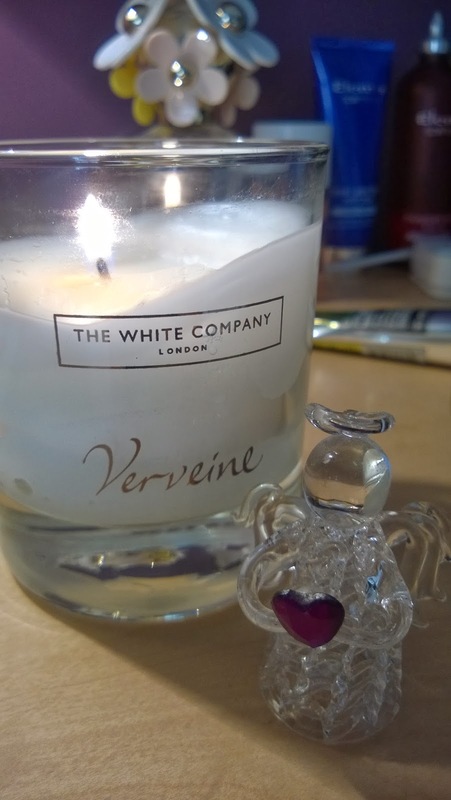 Also on my table are these three precious little items. 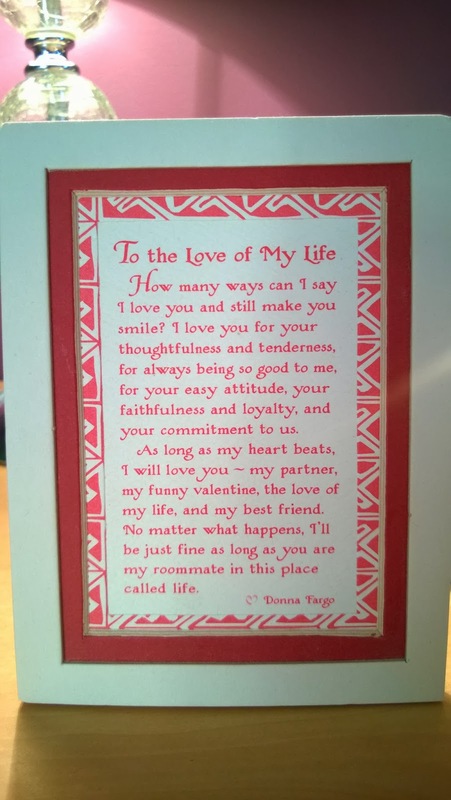 This little love note was given to me by my gorgeous husband a few years ago and I love the words. Reading it brings tears to my eyes everytime. Mr C also gave me the little angel. One day last year I was just saying to him how I didn't want him to be away with work again and the next day he came home with the angel to put by my bed to look after me when he's not there! Aw bless. Now this little beauty was given to me by our son Tom. He went to Paris with his school when he was around 11 and came back with gifts for us. 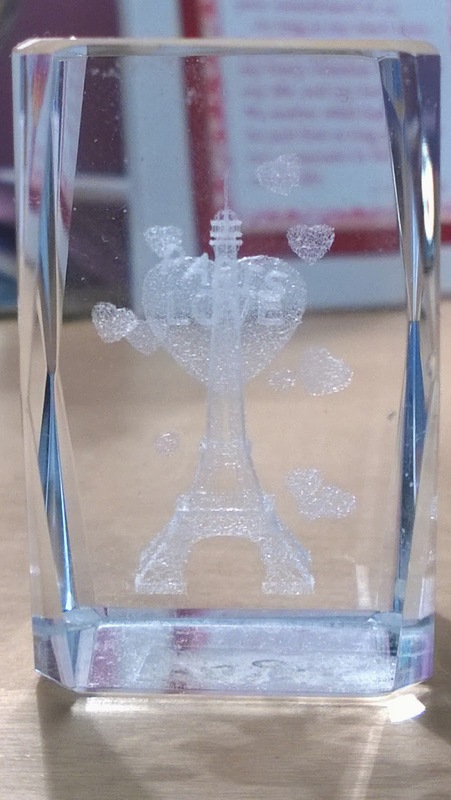 He got me and his dad 3D glass etchings of the Eiffel Tower. It says Love Paris. Rather than buy them from a street stall he bought them inside the Tower, must have cost a bomb. What a sweet thing to do. 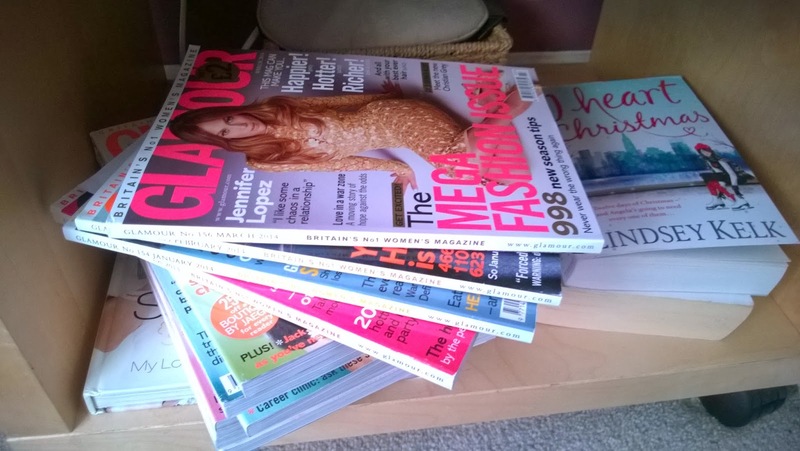 Oh and just underneath are some books and a stack of Glamour magazines I need to get through. I best get some bed time reading in!